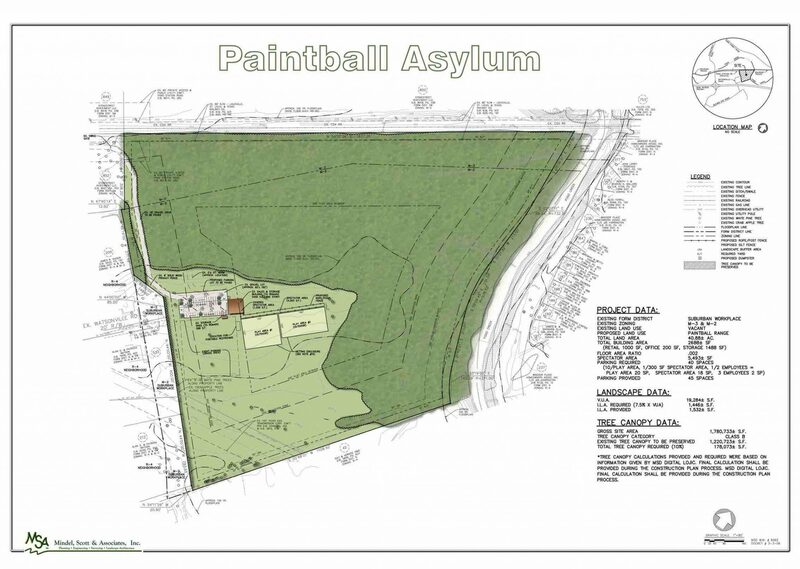 Asylum Extreme Paintball is a 40.88-acre recreational paintball range that will provide two outdoor play areas; a facility support/retail sales building; covered and open spectator seating; chronograph gun testing area and 45 car parking. Approximately 29 acres of the site is to remain wooded and undisturbed. This site is located at 3101 Pond Station Road in Louisville, KY.
Mindel Scott was responsible for the conceptual layout plan; development plan application and submittal process; agency coordination; and meetings, project management and road access exhibit.